The OU consisted of OFR and OL,each unit can be ordered separately. The OF with water separator cleans the compressed air offluid oil,condensation and dirt particles.For special application,the standard 40μm filter element may easily be replaced by a 5μm filter element. The OR maintain imputting constant operating pressuredespite fluctuation in line pressure and the amount of air consumed. 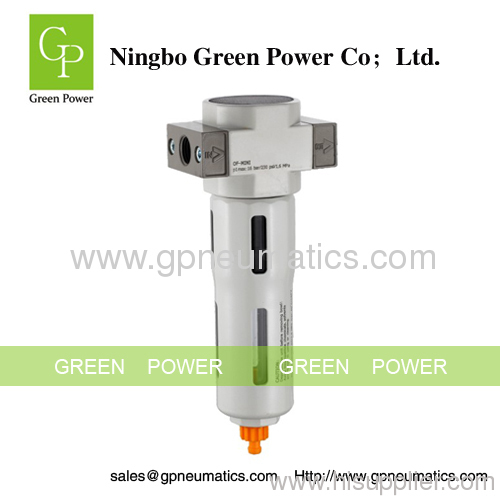 The proportional lubricator adds a regulated quantity ofoil to the filtered air.The oil-mist content proportional to the flow and oilcan be added during operation.The oil drip rate is controlled by the adjustablebolt.Normally,1to 12 drops /1000L of the air is sufficient. 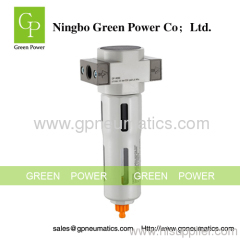 Port size:1/8" 1/4" 1/2"3/4" 3/8" 1"
Dimension and size are the same with FESTO. Can beequivalent to FESTO. With lower price and goodquality. You can choose by sea or by air or just choose deliver by express, we can choose the most competitive price and best service forwarder for you based on your requirement. All package will be inspected before shipping. Protective packing material will be added in your package to avoide products been damaged easily in transit. Please allow 1-2 working days handling time for payment processing and shipping. Deliver information will be informed in 24 hours except weekends and holidays. Buyers will be informed in 24 hours if there are any problems with their order. For faster service, please update your correct shipping address before sending payment. Please contact us if you have any questions on shipping.